EAA AirVenture 2018, Oshkosh, Wisconsin — Every year at AirVenture our favorite company, Piper Aircraft, hosts a press conference to tell us what has happened in the year since their previous press conference. In addition, they give us new product announcements and other updates as they deem appropriate. Simon Caldicott, President and CEO of Piper, has hosted these press conferences since 2011. Here is a summary of what took place at that event as hosted by Mr. Caldicott. Piper Trainer Sales Expand by 126% In Q2 2018: Piper Aircraft, Inc. announced today that sales of Piper trainers in the second quarter of the year increased 126% when compared to the same period in 2017. Both their single and multi-engine trainers have solid order book backlog into Q3 of 2019. The twin engine Piper Seminole lead the increase with 150% growth in deliveries followed by both the Arrow and Archer, which showed a combined growth of 85%. For 2018 Piper is on track to deliver more than 100 PA-28s – a combination of single engine Archers and single engine, complex trainer, Arrows during 2018. In addition to the success with Piper’s PA-28 products, sales for the twin-engine Seminole will reach their highest level in more than 15 years. The Archer TX includes the Garmin G1000 NXi avionics package which incorporates modern processing power that supports faster map rendering and smoother panning throughout the displays. Saving valuable time in the cockpit, the displays initialize within seconds after start-up, providing immediate access to frequencies, flight plan data and more. The Archer TX comes standard equipped with a 180 hp Lycoming engine, offers 128 ktas / 237 km/h cruise speed. The aircraft is offered with multiple engine configurations designed to meet the operational and regional needs of the training provider. In addition to the standard Lycoming O-360-A4M, an optional fuel injected Lycoming IO-360-B4A engine is available as well as diesel option utilizing the Continental CD-155 engine. Piper Aircraft and ATP Flight School announced recently, during the annual Sun-n-Fun Fly-In, the signing of a second 100 aircraft fleet order. ATP, which holds the distinction of being the largest private flight school in the United States and leading supplier of pilots to the nation’s regional airlines, is now the largest Piper fleet operator in the world. Piper Aircraft, Inc. announced today its results for the second quarter of 2018, ending June 30. The company posted Q2 2018 aircraft revenue of $62.3M on 53 deliveries versus $52.1M revenue on 32 aircraft deliveries in 2017. 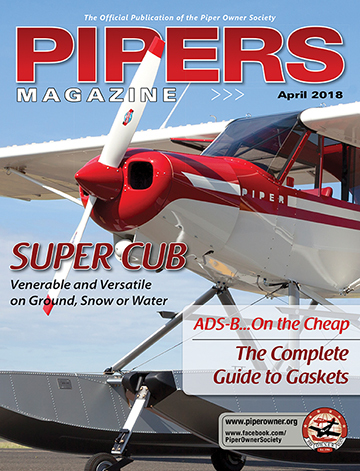 Piper’s growth in both aircraft deliveries and revenue was aided across all segments during the period with M-Class deliveries growing 11% and Trainer class deliveries more than doubling from 15 aircraft in Q2 2017 to 34 in Q2 2018, a 126% increase.. Piper trainer sales growth continues to be led by both the proven Archer platform with current backlog into Q3 2019 and the twin engine Seminole with 10 aircraft delivered in Q2 2018.